Mr. Daffinee has most recently been the Head Band Director at Eastview High School in Georgetown, Texas. Prior to his appointment at Eastview, he taught two years in San Antonio, TX at Douglas MacArthur High School where his primary responsibilities included assisting with all aspects of the marching band, concert bands, and middle school programs within the cluster. 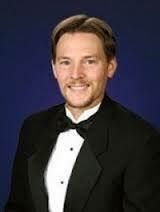 Before moving to San Antonio, he served as Assistant Director of Bands at Hebron High School in Carrollton, TX. While at Hebron, the band program was recognized for various achievements under the baton of Head Director and mentor Andy Sealy, including: The Sudler Flag of Honor, The Sudler Shield, AAAAA Texas Honor Band (2011-2012), and as a featured performing ensemble at the Midwest Band and Orchestra Clinic. While in NY, Mr. Daffinee marched Spectrum Drum & Bugle Corps for 4 years during high school. He went on to attend Ithaca College (Class of 2002) where he earned both a Bachelors Degree in Music Performance (Tuba) and Music Education. During this time he also marched with the Phantom Regiment Drum & Bugle Corps and was named the Dave Glasscoe Member of the Year and Tuba Solo & Ensemble Champion in 2002. During 2003 Mr. Daffinee toured with the Tony award winning Broadway Show Blast! where he performed for U.S. and Japanese audiences. Since 2005 Mr. Daffinee has continued to work for the Phantom Regiment Drum & Bugle Corps as a member of the brass staff, including the 2008 DCI Championship Season. Mason’s wife Jennifer is a Regional Bandsman in the Air Force Band of the West stationed at Lackland Air Force Base. She is also pursuing her Doctorate of Musical Arts in Clarinet Performance at the University of North Texas. Mason, Jennifer, and their Shiba Inu dogs Suki & Mischa are excited to be a part of the Reagan band family!